I am happy to get food review's invitation from Living Social Malaysia, thanks to Premaloshini, PR Living Social Malaysia! 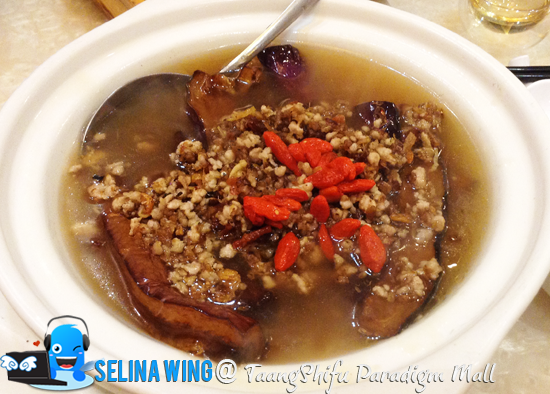 Taang Shifu is my favorite of restaurant in Klang Valley because it bring every dishes in cuisine, with emphasis on health and nourishment, the menu of Taang Shifu is tailored by Chinese herbs and medicine specialists! My good friend and I surprised when 12 dishes come to us! Luckily, 6 food bloggers, include us to finish all dishes so we enjoyed to eat many so very delicious and yummy! I really want to bring my family to try all dishes because it bring the healthy benefits! It can relieves body heat, reduces fat and balances blood pressure. 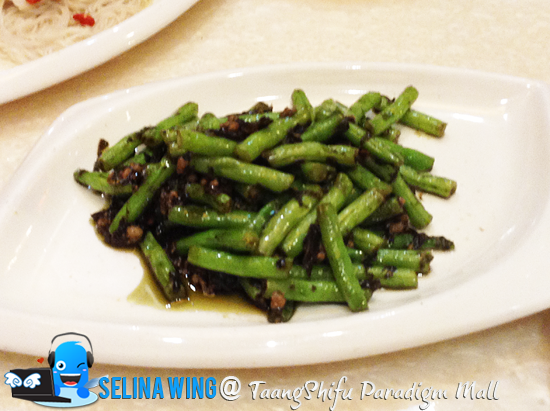 If you have high-blood pressure, you better to order the stir fried french beans as it was cooked just right with Pu Er elements so we bite every french beans so easily, because it is soft and sweet-tasted! It priced RM 15.90, also be top recommended by the chef. This is my first dish that I ate with my good friend! 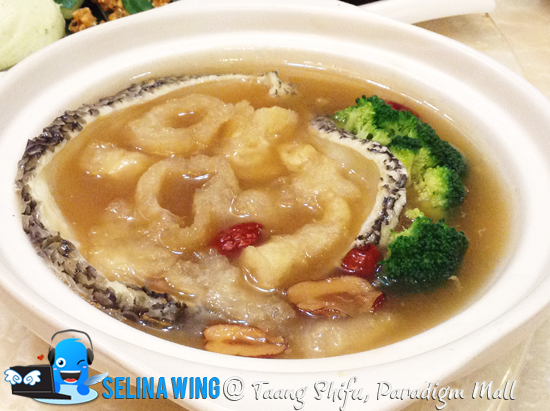 It help in rejuvenate mentality and restructure spleen, this dish packed with lots of healthy stuffs; the brown rice with the dried scallops, mushrooms and mini petite abalone. I love to eat brown rice but, I not always eat more mushrooms and too many scallops inside! But, it is great for the older people love to eat it because it can used as the healthy soup! It's RM 16.90. 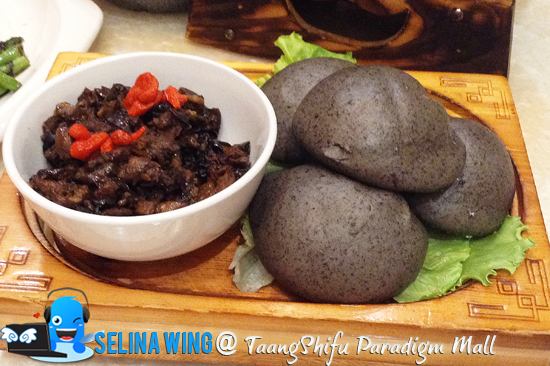 I am really love the Braised Pork accompanied with four Black Sesame Buns, priced RM 15.90! I eat it twice before! It must be high-recommended by me if we come to Taang Shifu again! It is very rich in calcium. When I put the braised pork in these black sesame buns, then I eat it with used my left hand, so my mouth are full with the soft bun tasted sweet so easy! My grandma and I love it! It is RM 38.90 as the top chef's recommenced for us. It contains Panax ginseng roots, american ginseng and cordyceps, together with dried scallop, mushroom, fish maw and a variety of Chinese herbs, boiled and stewed for 8 hours till rich and mellow. It can improve immune system and revive vitality! I drink the ginseng soup on my first time so, i felt it is very great herbal medicine for our body! 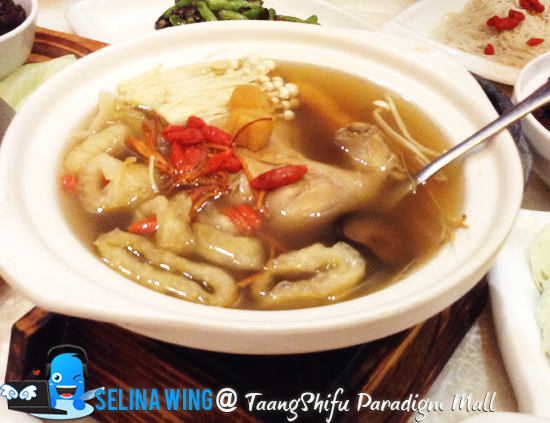 Without the ginseng, you can eat normal soup filled with fish maw, and chicken pieces, priced RM15.90. It is great choice to drink a hot soup after you tired work. My good friend and I really enjoyed to drink this soup, make us felt relax, because there are the variety chinese herbs inside. It is better if we make it with white rice, make more energy! He took it so much, he needed to drink alot! Wow! This is normal claypot beancurd with sliced dory fish and pickled olive, RM26.90, but it make me prefer to eat more beancurd and mushrooms than the fried dory fish! 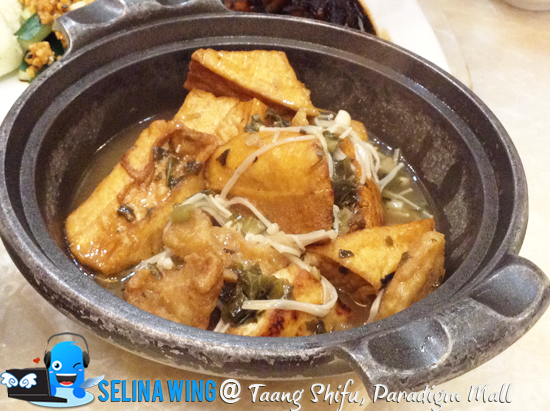 I think that beancurd can absorb more tasted so salty. My good friend told me that the cod fish is very expensive so it would be premium dish in the menu! He always wish to eat more cod fish because he really love it so much! 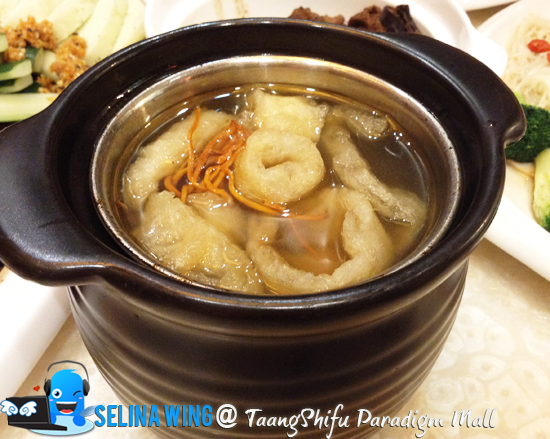 It is very good herbal soup which have cod fish, that can improve lung functionality and immune system. It priced RM39.90. This is great dish which I love to eat, priced RM22.90 because the brasied pork belly are very smooth, I no need to worry it not hard to be bite! Amazing, the rich dark sauce also helped to cover the meats with the bread, make me want to eat more so it is very delicious & sweet. It also make beauty of Japanese cucumbers, so it is best unqine dish that I seen! 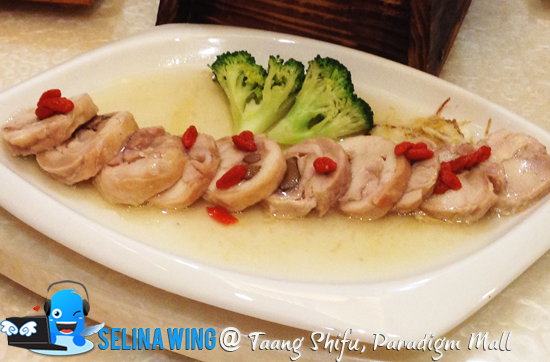 Wow, it called "Emperor Chicken Marinated in Wine", it is special dish RM 16.90. This chicken meat still to be good 'circle' shape, it catch our eyes to try it! It is soft and also have the inclusion of wine - to be able to reinforce blood circulation. I was eating a chicken roll with my mouth so easily only! 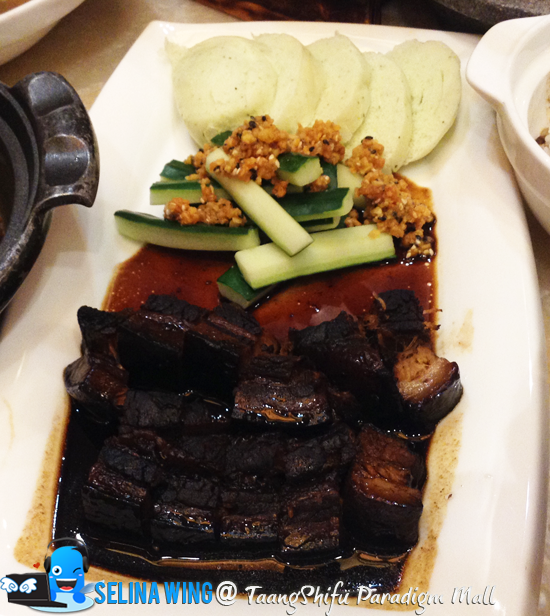 I love the stewed pork so it's delicious dish, help to regulate blood circulation. I think it is better when the brown rice added, it just RM 8.90. With this, you can make choice if you want to be healthy! 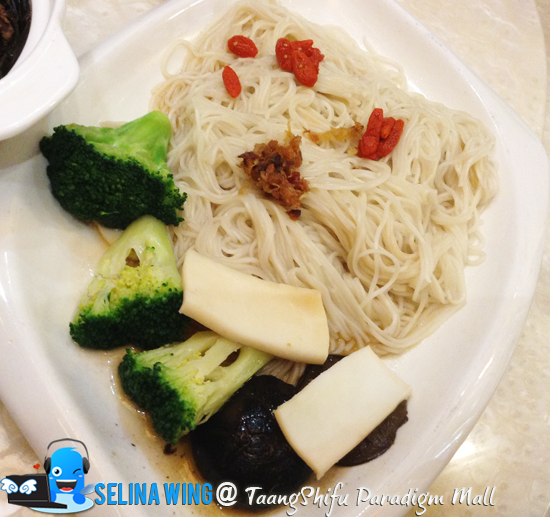 This mee sua are not our favourite, but, it also added the abalone slices, mushrooms and vegetables, more healthy. It looks as normal, everyone sure can cook it so easily. The sauce is okay, but it said to be chef's recommenced, priced RM 13.90. Maybe the chef really take mee sua as his liking. 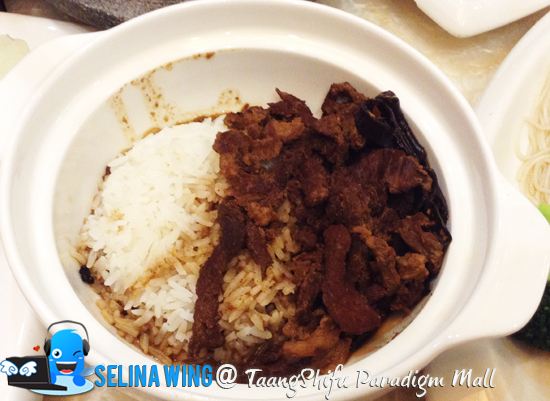 I surisped when my good friend really love XO sauce so, he also used to eat the white rice with the eggplant with minced meat, so this taste is not bad, not very oily. He licked it until his bowl be clean so wow! I not always eat it because my mom's cooking are better than it! Haha. If you love XO sauce is salty, and taste good, just order it, RM 16.90 only. 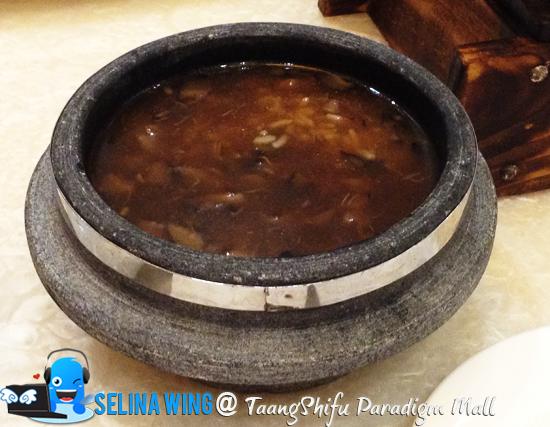 Lastly, Taang Shifu give us a very famous Caramel Ginger Beancurd dessert; RM 5.90. I really love it! 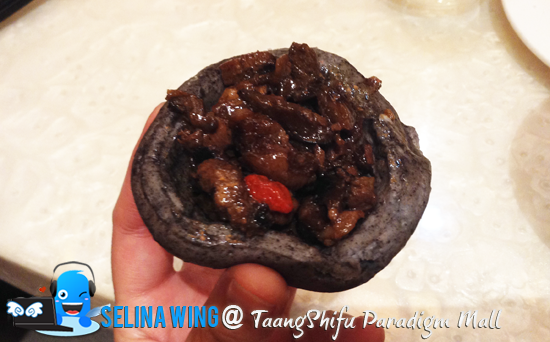 It is a must-try when you visit Taang Shifu on next time! The beancurd be cold, but are very smooth while I pour the Gula Melaka into this beancurd dessert! It is very rich in soy taste! It become my top of favorite desserts! 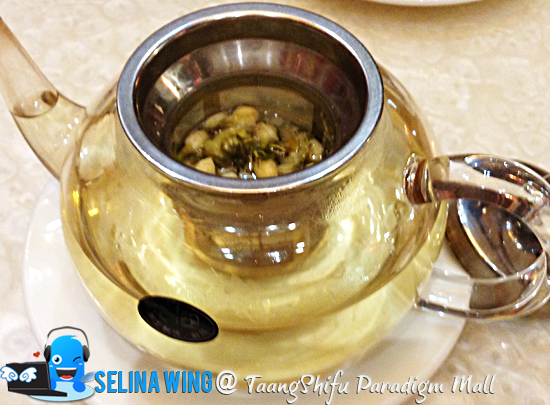 Taang Shifu remmocended two pots of tea; Summer Tea and Autumn Tea. We chose to drink Autumn Tea because we love the chrysanthemum so very strongly make us want to smell more while we are drinking! 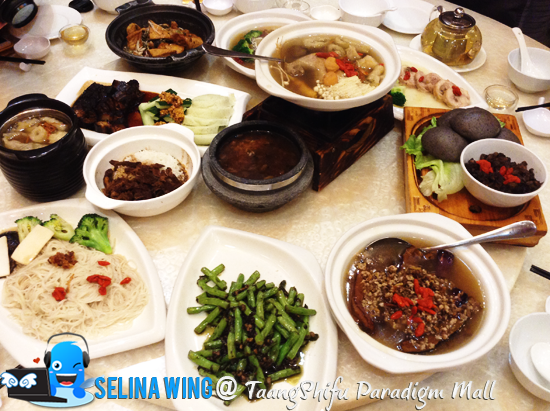 We really enjoyed the Taang Shifu's unqine food! 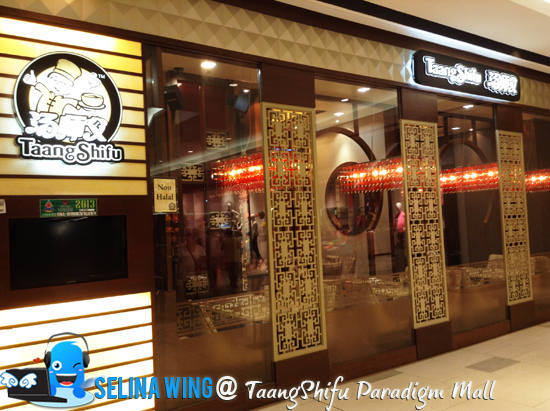 Just give a try to eat some dishes from Taang Shifu if you are healthy & herbs food fan!